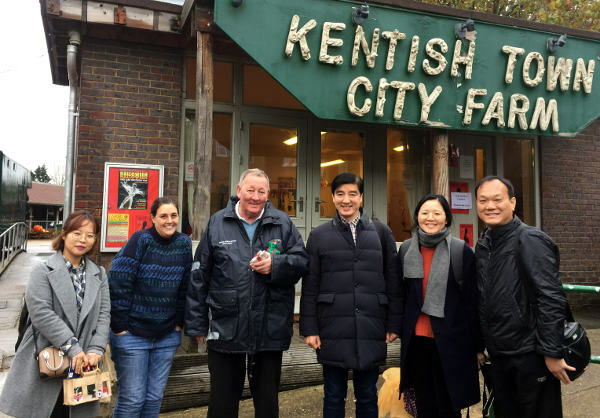 On 9 November we were visited by a delegation from South Korea including Hae Sik Lee, the Mayor of Gangdong-gu, Seoul. The delegates came to learn about city farming and spent two hours with John Langan, the farm stockman. Their farm doesn’t have any animals but they do grow rice and vegetables. We exchanged gifts – they gave us some honey from their farm and we gave them a KTCF gift bag with honey and homemade jams & chutney all made at the farm by our volunteers. 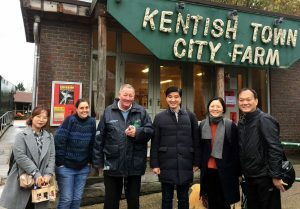 It was interesting to hear about their farm in Gangdong-gu area of South Korea and wonderful to receive them as guests.